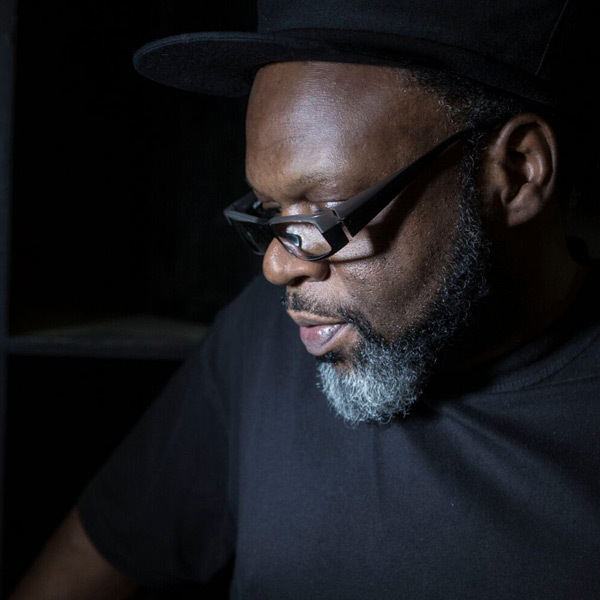 Although Jazzie B and Soul II Soul will always be connected, both spiritually and substantially, that has never been all Jazzie has been about. For years now, he has built a parallel career away from the collective, one that allows Jazzie to advance his own ideas and character. Among his more eclectic achievements as Jazzie B, he has been a regular on London radio since Kiss FM was a pirate – he is currently on Solar Radio, Sundays 2-4 pm and also does a variety of voice-overs for radio and television. He has had a spell running Motown in the UK, designed a sneaker for the Lacoste Legends range and presented James Brown with the Diesel U Music Lifetime Achievement award – an honour the late Mr Brown would accept in person on the one condition that it was Jazzie who presented it to him. But on a more day-to-day level, welcome to Jazzie’s world. For as long as there has been a Soul II Soul success story and studios, there’s been a procession of artists through the doors to take advantage of Jazzie’s production and remixing skills. Jazzie co-wrote and produced a series of tracks with the Godfather of Soul himself, James Brown, including Just Do It, Watch Me and Show Me Your Friends. He’s produced Teena Marie, Cheryl Lynn and The Jones Girls; and co-produced Maxi Priest and The Chimes. He has remixed for, among others, Public Enemy (So Whatcha Gonna Do) Johnny Gill (Wrap My Body Tight); Fine Young Cannibals (I’m Not The Man I Used To Be); Incognito (Change); and, perhaps most memorably, Family Stand’s international smash hit Ghetto Heaven. Jazzie has also put together some of the greatest club classics collections of recent years, drawing on his sets from the legendary Africa Centre parties and other dances from back in the day. His natural communication skills haven’t gone to waste either; he has given talks, with Q&As about his life and the adventures of Soul II Soul all over the country; lectured at Cambridge University; spoken about the changing face of the global music business at Manchester’s annual In The City music conference (2011); talked extensively about sound systems and sound system culture for the Red Bull Music Academy; and taught music and music technology at Jamie’s Dream School for Channel 4 in 2011. In 2008, Jazzie became the first UK sound man to be invited to a Buckingham Palace investiture, when he was awarded an OBE for services to music, by Her Majesty the Queen. In the same year, he was awarded the inaugural Ivor Novello Award for inspiration; when it was presented to Jazzie, the announcer described him as “the man who gave British black music a soul of its own”.